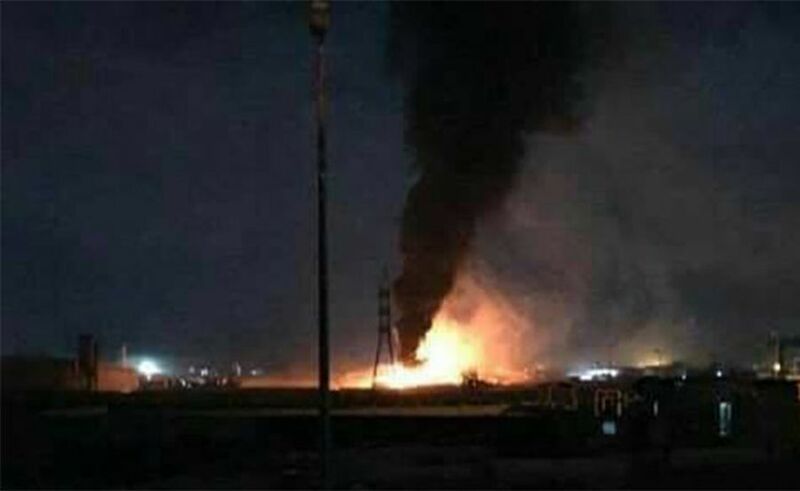 The official Syrian news agency claims that early Saturday, April 13, Israeli aircraft fired missiles from Lebanese airspace at “one of our military positions towards Masyaf” in the Hama region of western Syria. DEBKAfile: The targets appear to have been a group of military facilities, including a center for weapons research and development. Among them is a Syrian-Iranian factory for upgrading the precision of surface missiles. “The enemy missiles were dealt with and some of them were shot down before reaching their target, resulting in damage to a few buildings and the injury of three fighters,” a report on SANA said. If this attack is confirmed, it would be the first to take place since Prime Minister Binyamin Netanyahu held talks in Moscow with President Vladimir Putin on April 4. and just four days after Israel’s general election, ahead of the formation of a new government by the outgoing prime minister. Elections over, Bibi in complete charge. Time to clean up these threats. They will lose. I don’t why these idiots think they can ever succeed against a tiny, but well armed country that has now where to go but into the sea. Its totally stupid. Logic doesn’t motivate or guide them, hatred does. Guess which ‘army’ of squatter terrorists used a sniper rifle to murder a 15 year old yesterday? No different than the squatters coming from Iran, Iraq and Lebanon into Syria. hopefully they will kill another 499 in order to make it a round number. Moshe007… Idiot!!!! stupid idiot!!! seems like u sit on your brains. So funny to see the reaction on sputnik fascist russian media ! “just four days after Israel’s general election”?? Not true. TODAY is 4 days after the election! It was 4 days BEFORE the election. why? israel bombing iranian missile factories in syria, doesn’t affect russia, or even syria for that matter. putin has already worked out terms with netanyahu. Shocker! The fascist dictator and his squatter-bombers use Uncle Sam’s welfare checks to launch another sneak attack. They’ll do anything to help out their ISISraeli brothers and kill a few semitic Arabs. boy, that joo-hatred really is rotting out your brains! there’s hardly a functioning cell left. Sipder-boy – Idiot much? No one cares for or buys your false narratives.